Sign in to your Microsoft Stream account. Click Create and choose Live event. Give your event a Name, Description, and Thumbnail image (optional) in the “Details” area. Choose a start time. You can schedule the event for another time or you can choose “As soon as encoder is connected (now)” to go live now. You can set permissions and options for who can view the stream. Choose “Publish Now” when you are satisfied with the options. 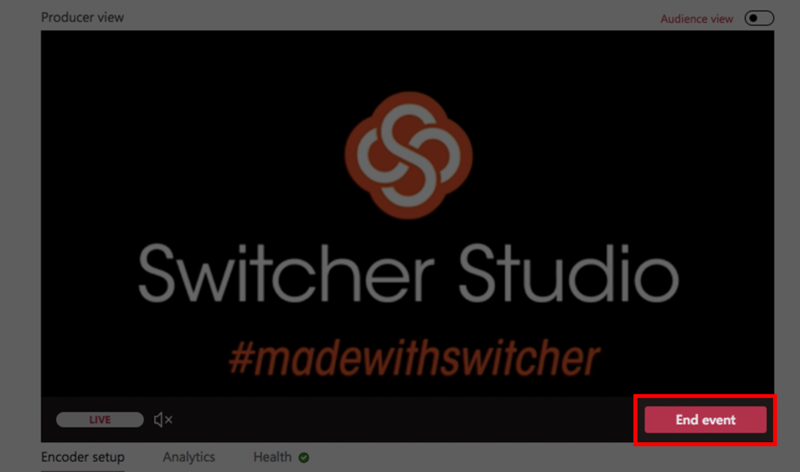 From the dropdown menu titled “Select encoder”, choose “Switcher Studio" from the list. Click “Start Setup”. 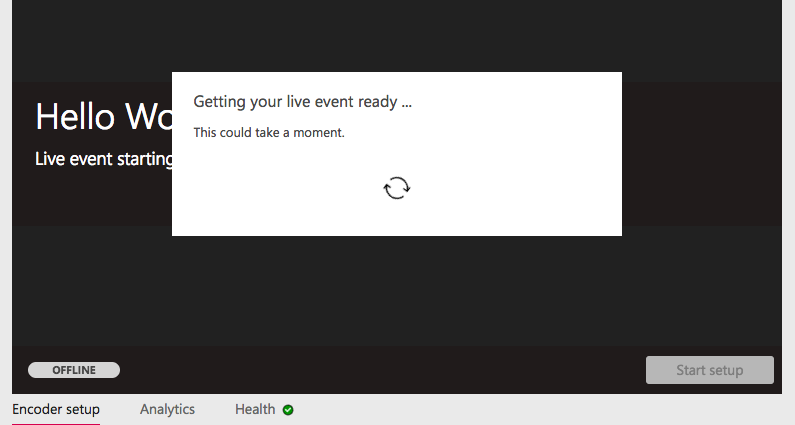 Allow Microsoft Stream to prepare the stream. This could take a few minutes. When it is complete it will display “Ready to connect”. 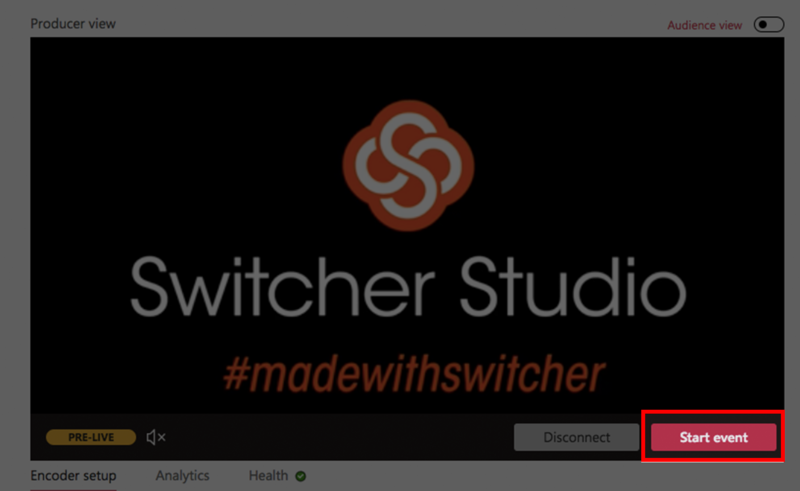 Now click the “Configure” link which will open the Switcher Studio Dashboard. 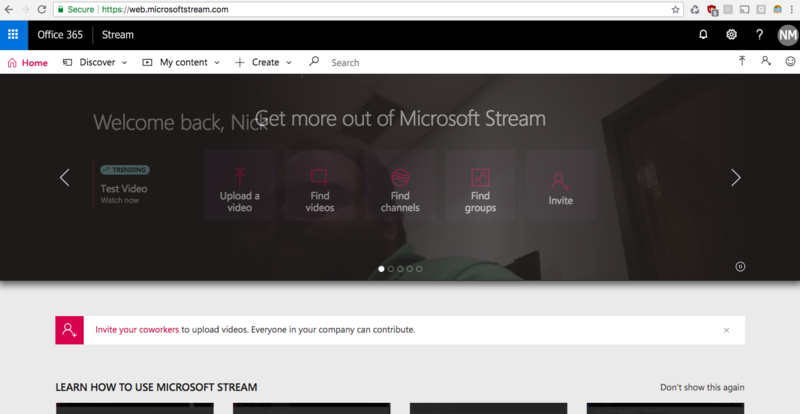 Check the Microsoft Stream details and click Confirm. 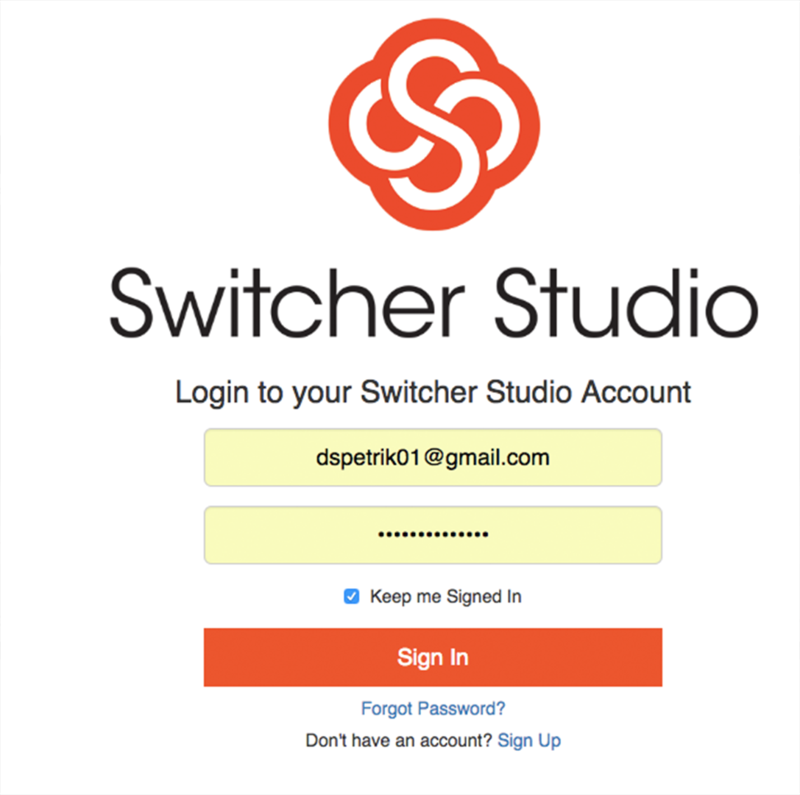 Open Switcher Studio on your iOS device. In the Outputs Tab, swipe down to update your destinations. 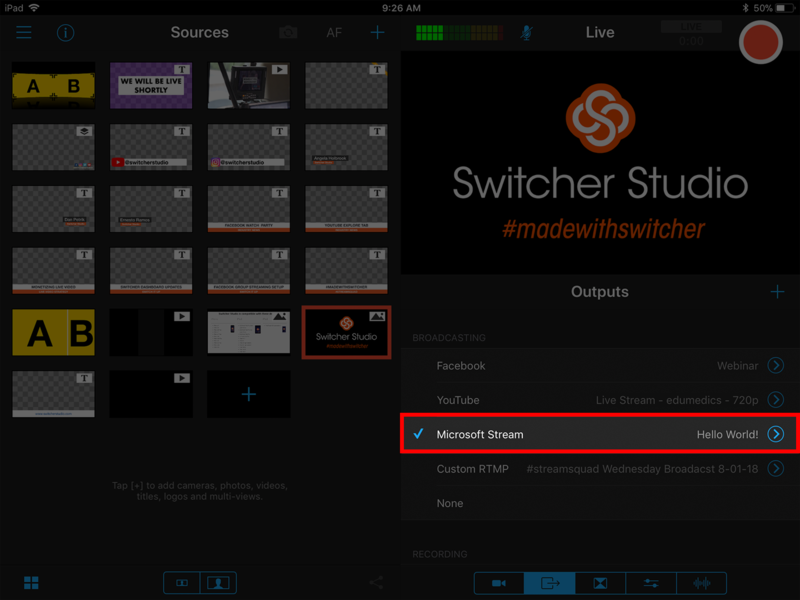 Tap Microsoft Stream, and make sure there is a blue checkmark as well as the title you gave your stream next to it. 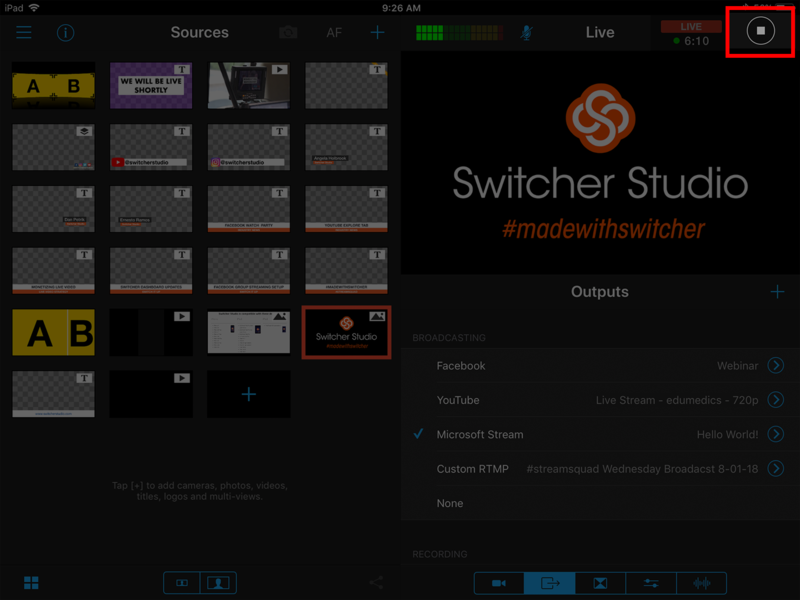 Tap the red button in Switcher to begin streaming. Note: Your video WILL NOT be live until you complete rest of the steps below. Go back to the Microsoft Stream configuration page. 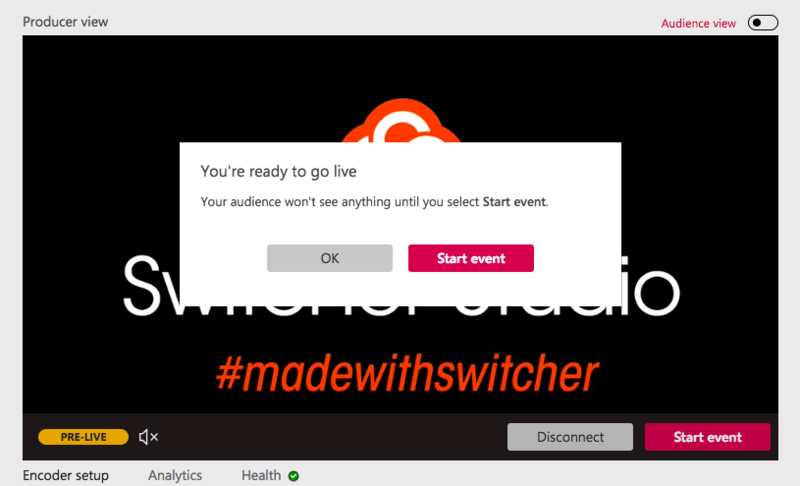 You should see a preview of your video from Switcher along with a message which reads “You are ready to go live”. To make your video Live immediately, click Start Stream. You can also select “OK” and click “Start Stream” whenever you are ready to go Live. 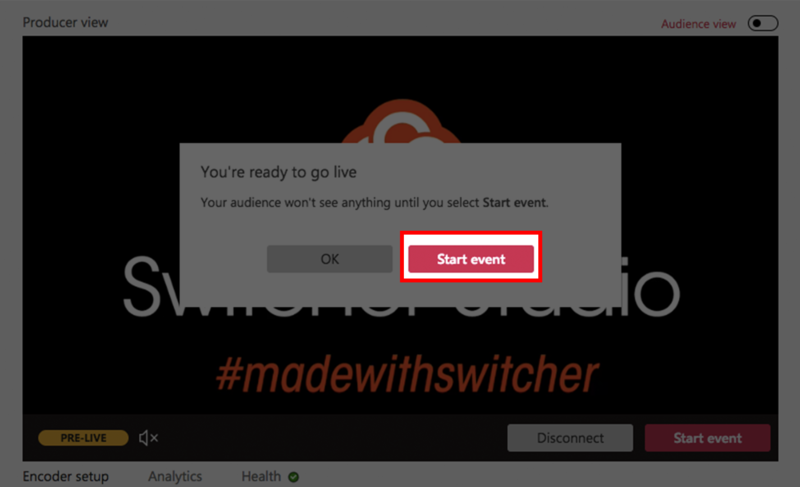 To end your stream, you can press the Stop button in Switcher or click “End Stream” on the Microsoft Stream event configuration page.